3. URL disguised as text " Click here to verify your Information ". 4. Website traced to El Monte, USA. 5. 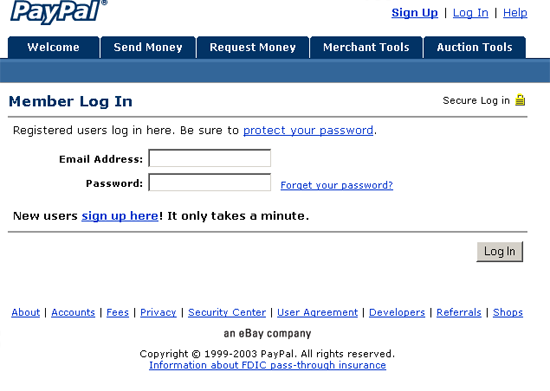 URL very obviously not PayPal!
" 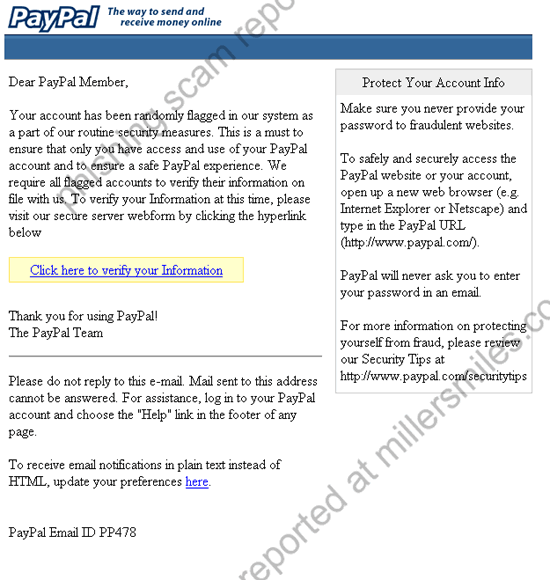 Dear PayPal Member, Your account has been randomly flagged in our system as a part of our routine security measures. "